Posted On March 08, 2018 by Team iCynosure. The usual reaction to a discussion about a disorder or an illness is ignorance or indifference, in a way that it is irrelevant to the individual's life. I have interacted with numerous people who dismiss the discussions as they believe it cannot happen to them or anyone dear to them. But disorders have started creeping into our lives slowly, and; are much closer to us than we wish to believe. Over the last few years, the one disorder that I have personally heard a lot about is Thyroid disorder. According to a recent study conducted in eight major cities of the country, it was found that 1 in every 8 adults suffer from thyroid disorders and about 8% may have subclinical HypoThyroid Disorder. It is really crucial to understand that thyroid isn't a disease, it is a disorder where an assigned gland produces insufficient (HypoThyroid Disorder) or excess (HyperThyroid Disorder) hormone that is required by the body to function properly. Unfortunately, many people don't even know they suffer from the disorder and hence it is important to understand the disorder and recognise the symptoms. One of the most alarming symptoms of thyroid is Thyroweight, an unexplained weight gain coupled with fatigue and tiredness, that is experienced mainly due to the imbalance in thyroid hormone production. Since women experience fluctuations in weight frequently, and hence Thyroweight is often ignored or overlooked and that's when all the problems arise including irregular periods, problems in conception, difficult pregnancy and early menopause. 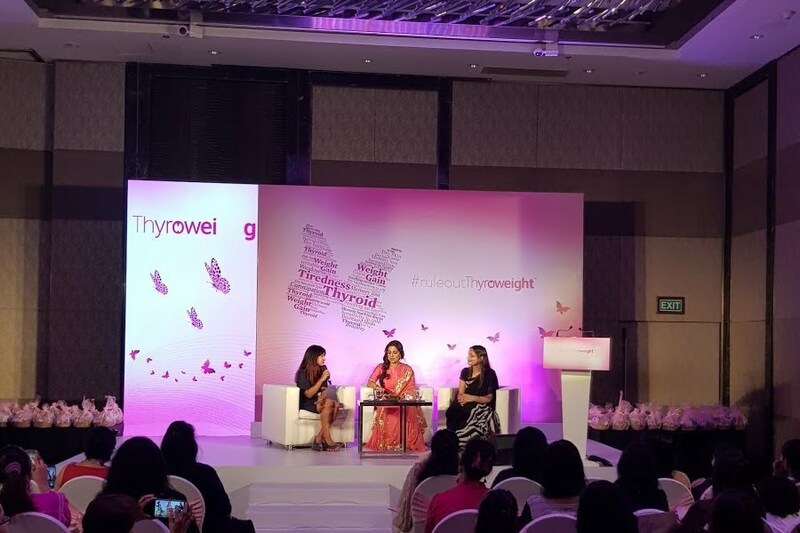 #RuleOutThyroweight initiative is a great platform to create awareness, educate and assist in managing the disorder. Thyroid Disorder can affect both men and women. Thyroid Disorder is most common after age 35, but the condition can strike at any age. About 70 percent of people with thyroid disorder remain undiagnosed for its generic symptoms. Diet changes impact the thyroid positively, however, medication is a must to control the disorder. Excess iodine can trigger a thyroid dysfunction. Without treatment, Thyroid Disorder can result in serious complications during pregnancy to the mother and the foetus.